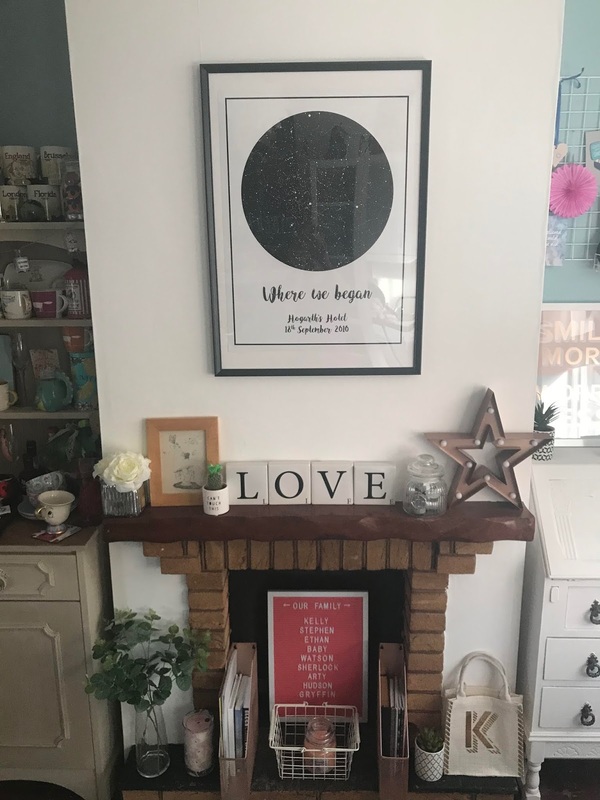 I am a bit of a romantic at heart, unashamedly so, and I also enjoy personalising my home with meaningful touches that reflect our personalities, our interest in some way document our life together. From when hubs and I met almost 15 years ago, to our wedding day nearly eight years ago, to Ethan's arrival, this new bubs on the way and all the adventures and jobs and life changes along the way. We have photos, mementos and all sorts around our home from holidays and events, including our wedding, Ethan's milestones and presents from friends. And now we have something really special. Something I have seen before and that I think is just really beautiful, in its look and in its meaning. 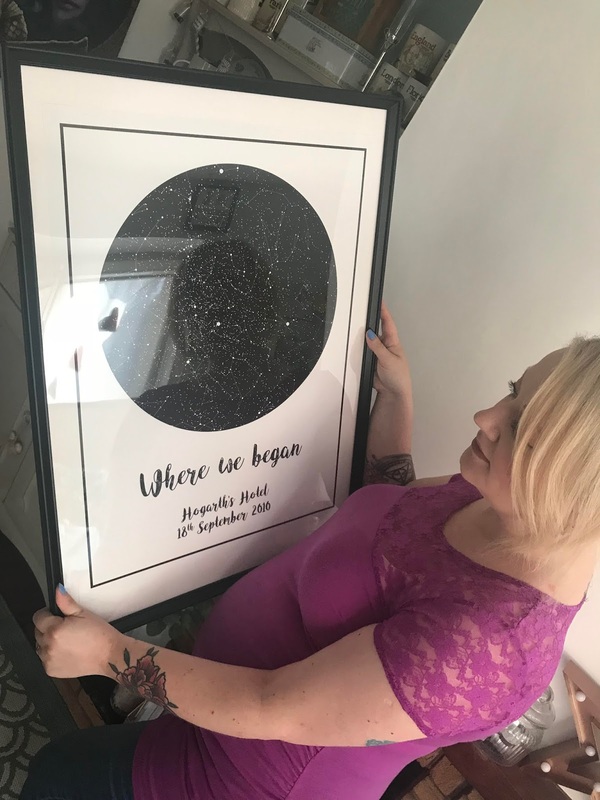 We have a stunning star map, designed especially for us by Jennifer at Modern Map Art, depicting the night sky and constellations on the day, time and location of our wedding day, on 18th September 2010. 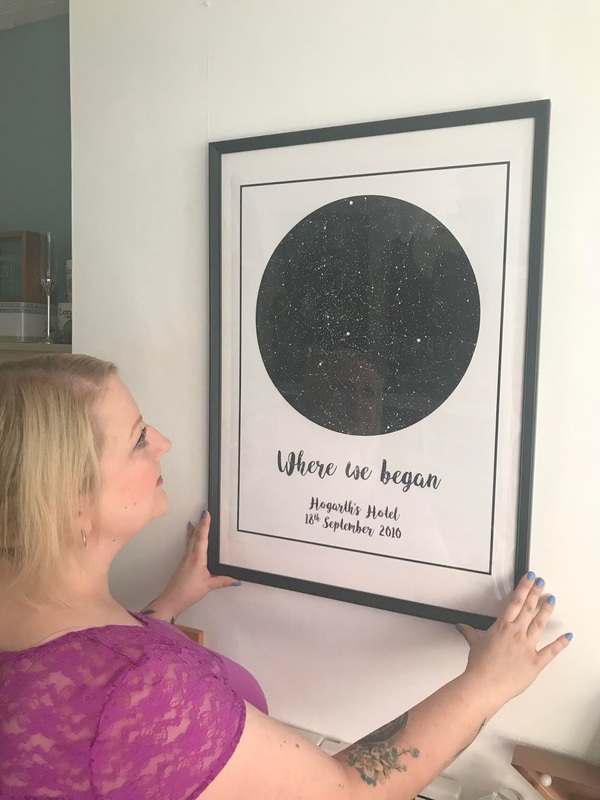 Fully customisable, with a choice of colours, fonts, text information, border or no border, and sizes, Modern Map Art offers a truly personal and unique type of print that can become a really interesting and impactful piece in your home. I chose our wedding date, as it was of course a special occasion and it's where we began, as our little family. 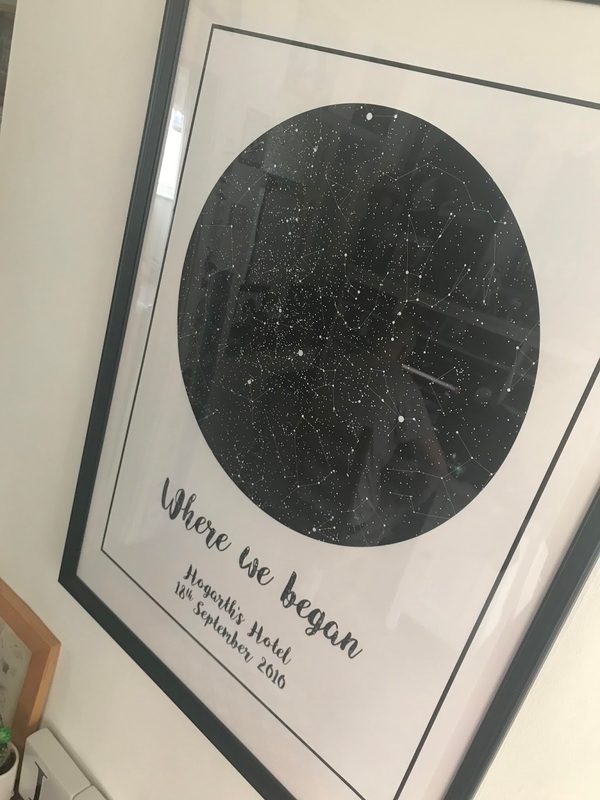 I would love to add two smaller star map prints side by side to it for Ethan's birthday and for bump's birth date when they arrive. After approving a proof Jennifer sent to me, the poster safely arrived within a few working days from overseas, wrapped in tissue and in a postal tube, and we were so excited to see how it had turned out. I love the magic and mystery of the stars and I am so very pleased with how our print has turned out. 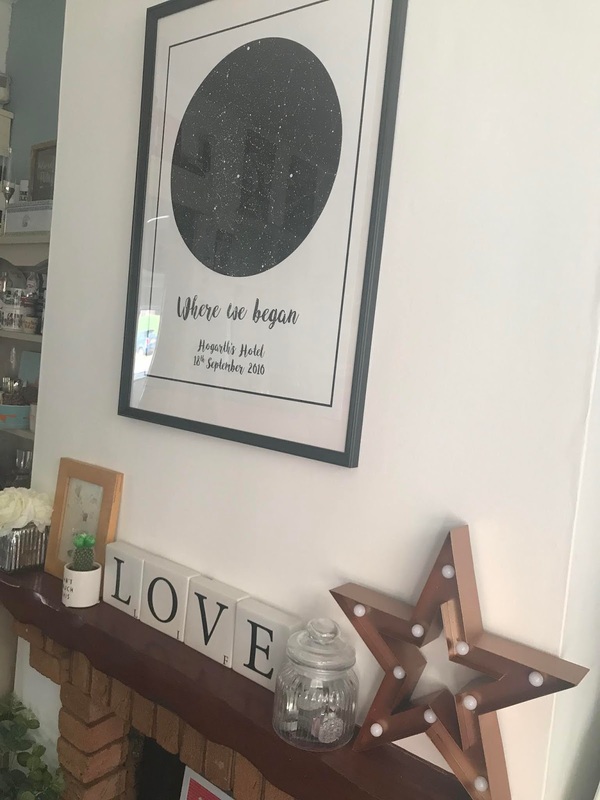 We've put it in a simple black frame and mounted this above the fireplace in our new den (we've just updated our dining room - you may have seen some photos on my Instagram - and I knew that our new wall art would make for a stunning centrepiece). 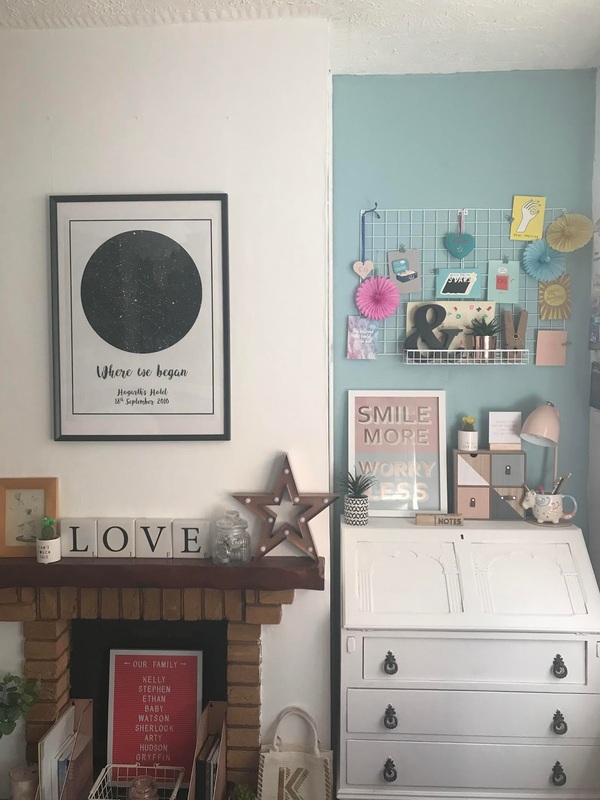 Against the white wall, our print really stands out and I've found myself glancing up at it every so often when I am working at my bureau, as it is such a special piece. Prices start from around £24 for an 8 x 10 inch print (prices are all in dollars, and there's free shipping on all orders), and the design feature on the website is really easy to use, so you can create your own star map and visualise how it would look, playing around with all the options until you are happy. The idea, service and quality of print we can not fault at all and our own modern map art piece already means a lot to us. Go follow Modern Map Art on Instagram for more inspiration. * We received our print for purposes of review, but all opinions are always my own.